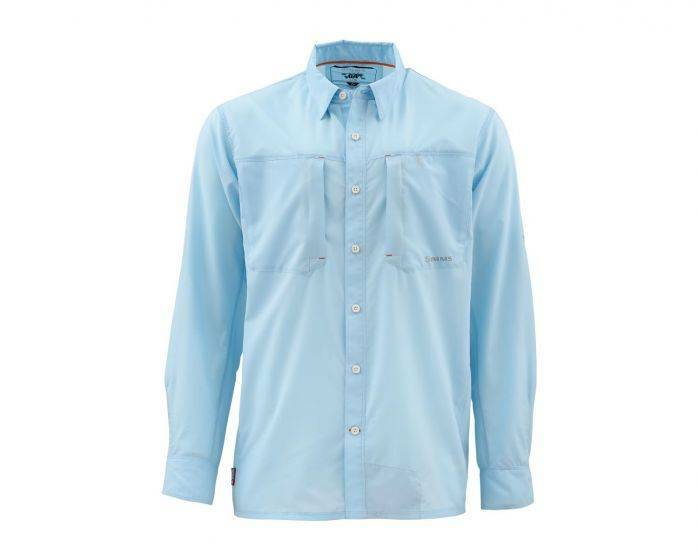 Technical inshore/offshore shirt that won't weigh you down Whether bluewater expedition or flats feast—Simms new Ultralight LS shirt features distinct laser-cut panels under the arms that emphasize both style and breathability. Lightweight ripstop fabric with mechanical stretch enhances durability and mobility. And COR3™ technology boosts quick-dry, wicking, anti-odor and UPF 30 sun performance. 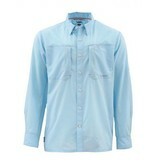 Additional features include zippered fly-box compatible chest pockets and extended Sun Cuffs for better overall coverage. Traditional fit and down-to-fish style come standard.